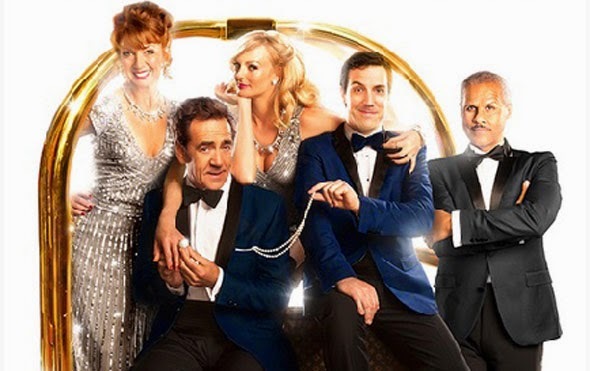 Celebrating recent cast changes, both intentional (Bonnie Langford and Gary Wilmot in for Samantha Bond and John Marquez) and unexpected (Alex Gaumond hastily replacing Rufus Hound), Dirty Rotten Scoundrels is approaching its one year anniversary in the West End with a renewed energy. And with the changing strengths of its leading players, it also feels like quite a different show, one which is well worth (re)visiting. My original review can be read here and much of it still holds true. 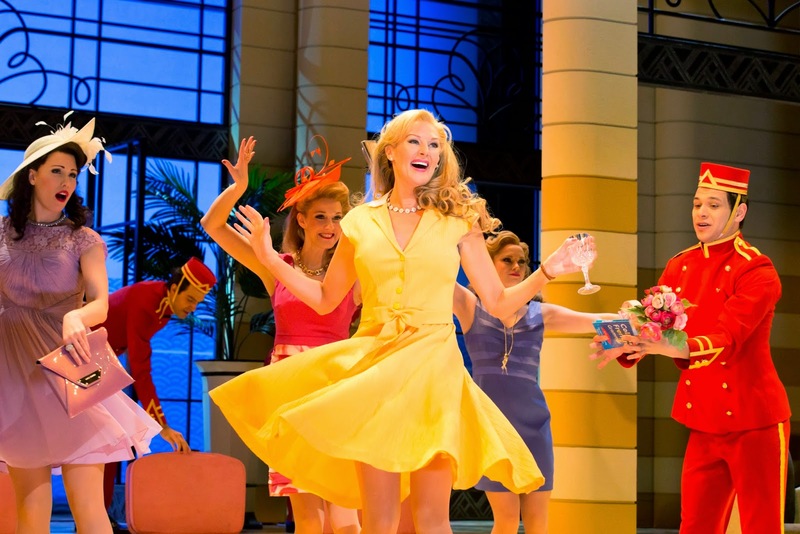 This isn’t the show to reinvent the musical form but nor is it trying to, rather it is a treat of the old-school variety as David Yazbek’s bouncy music and lyrics carries along Jeffrey Lane’s conman-based book on a ray of retro Riviera-infused sunshine. A wink to the audience here, meta-theatrical jokes there, a whole deal of hamminess from Robert Lindsay everywhere, this is a show that knows exactly what it is and revels in it. Quite what that is though has subtly changed though, as mentioned. Langford and Wilmot play up more of the comedic aspect of their romantic subplot as Muriel and Ray which contrasts with the deeper thespian heft that Bond and Marquez had, but equally feels more at home in the lighter touch of Jerry Mitchell’s production. And stepping into Hound’s shoes as the younger hustler Freddy Benson, Gaumond’s stronger acting and singing talents makes him a much more compelling and integral presence in the company at large. As a result, the show feels better balanced and more assured. Kat Kingsley remains an absolute shining treasure as the heiress that Lindsay and Gaumond’s scoundrels are competing to fleece and when paired up with a flirty Freddie in ‘Love Is My Legs’ she and Gaumond are irresistible, Langford has the kind of shimmering presence that is just impossible to ignore especially in the lovely flowing melody of ‘What Was A Woman To Do’, Howard Harrison’s vibrant lighting design brilliantly enhances the virtues of Peter McKintosh’s flexible set and MD Richard John keeps the sound of his band most sprightly indeed. 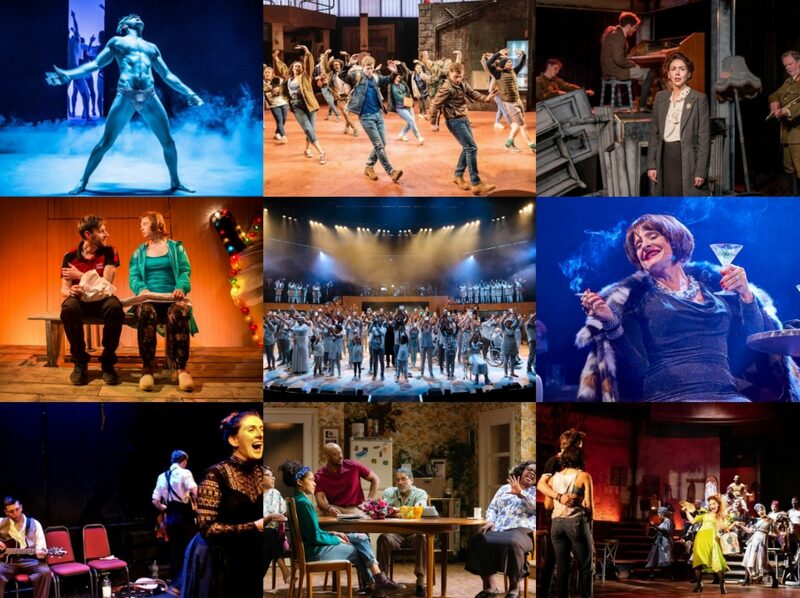 Good-natured entertainment done extremely well.